Animals provide personal companionship and play important roles in our well being. Therefore, why not enhance your life with the perfect pet for your particular personality? Not every type of pet is well suited for us as individuals. Prior to committing to pet adoption or purchase, find out which kind of pet is best for you by using this helpful guide. Birds are chatty feathered favorite creatures which love to fly through the air. Libra and Gemini are air signs, so people who are born under these make wonderful friends of fowl. Many parrot species live a very long life making them lifelong sidekicks. Cats of all kinds make fantastic companions for anyone who is independent, shy and tends to stay up at night. Known for their mysterious and mystical natures, they satisfy an otherworldly owner. Cats' fiery qualities are especially appreciated by fire signs Aries, Leo, and Sagittarius. Since all reptiles are cold-blooded and require warmth to survive, fire signs also tend to like having these kinds of pets. Snakes, lizards, geckos, iguanas, frogs, and turtles are the most common varieties of reptilian pets. 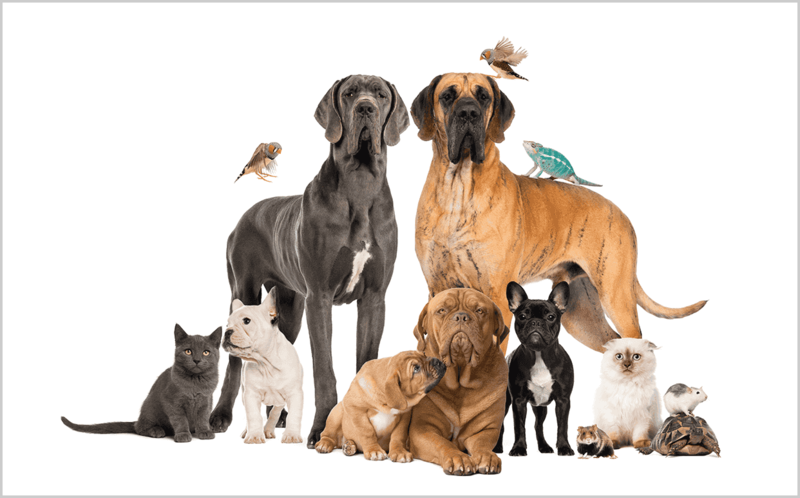 While not the most popular selections when it comes to pet ownership, these creatures can provide the same kind of connection and satisfaction and their furry or feathered counterparts. Dogs are ideal pets for extroverted people who love the outdoors and need a loyal friend. Available in an almost infinite variety, each dog breed offers a unique kind of companion. Small dogs fill a void for maternal and paternal instincts as they require being held in your arms and groomed. Larger dogs provide protection for their owner and can make you feel safe. Hamsters, guinea pigs, rats, gerbils, and chinchillas are cute and cuddly little pets. Capricorn, Taurus, and Virgo are earth signs which make exceptional owners for this class of pets. Often kept in a cage or aquarium, rodents are ideal for people in apartments or live in a limited space. Other options for earth signs are the lovable bunny rabbits and adorable hedgehogs. Not technically considered rodents die to an extra pair of incisor teeth, these kid-friendly pets love digging in the dirt and are also super fun snugglers. Fish, eels, shellfish Those who have the zodiac signs Pisces, Aquarius, Scorpio, and Cancer benefit the most from underwater pets as these signs are associated with water. Pisces are recommended to have salt or freshwater fish tanks while crabs represent cancer. If marine crabs are too much to handle, hermit crabs are another excellent option for Cancer signs. Remember, caring for any pet requires a lot of diligence and hard work. Therefore, it is always best to be sure before making the step to owning an animal. Being well informed about which pet best suits your lifestyle and personality can make having a pet a wonderful experience for you both. Answers your questions without judgment.